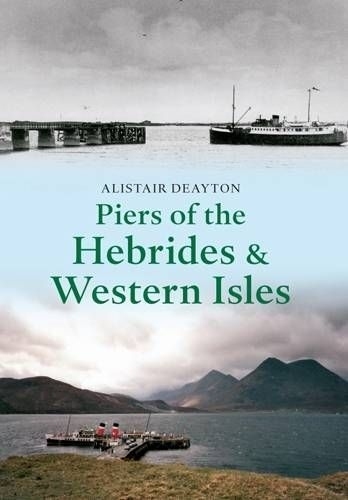 The companion volume to West Highland Piers, this volume covers the islands of: Gigha, Islay, Jura, Colonsay, Coll, Tiree, Mull and Iona. The second part of the book covers Skye and the Small Islands (Rhum, Eigg, Muck). The islands of the Western Isles including St Kilda complete the coverage.Since the 1810s, steamers have provided a valuable service to the communities of the Western Isles. Sometimes operated by independent operators, and by the ships of MacCallum, Orme, as well as David MacBraynes vessels, each island was served by a regular service of steamers and motorships, as well as by the ubiquitous puffers, carrying cargo.Alistair Deayton has managed to accumulate a fascinating collection of images of many of the piers, some in islands inaccessible and remote, showing how travel to and from the Hebrides was undertaken, even up to recent times. For some islands, the ferry is still their only means of travel to the mainland.